Capacity building of researchers, scientists and students in the country has been a strong activity of PASTIC in recent years. Serving the same purpose, 26th SPSS Level-I Training was held at PASTIC National Center, Islamabad from 10-12 July 2018. 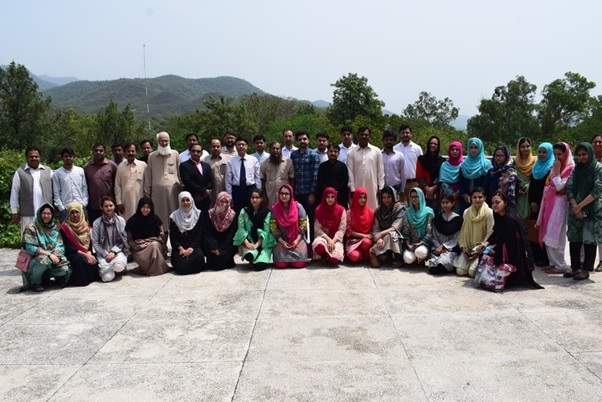 43 researchers/scientists from different universities and institutes like QAU - Islamabad, Arid Agriculture University - Rawalpindi, Mercy Corps Pakistan - Islamabad etc participated in the training. Researchers from variety of domains like Social Science, Animal Science, Human Genetics, Economics, Pharmacy, Education and Agriculture Science took part in the training. Training was delivered by Muhammad Usman (DBA, PASTIC). During training, statistical analysis methods were discussed and hands on sessions for the same were conducted in order to train the researchers and scientists on SPSS tool. The closing ceremony of the event was held on 12th July 2018. Director General PASTIC, Prof. Dr. Muhammad Akram Sheikh was the Chief Guest at the occasion. Mr. Saifullah Azim presented the training report by summarizing the comments from the participants along with the suggestions for improvement in this regard. Talking to the participant at the occasion, the Director General emphasized on usage of IT-based research tools for accurate and reliable analysis of data. He told the participants that PASTIC organizes these trainings in order to build capacity of researchers and scientists in the country. He also encouraged participants to participate in other trainings being held at PASTIC (SPSS Level II, Mendeley). At the end, he congratulated the participants upon successful completion of the training. Afterwards, participants were awarded the certificates of the training. Group Photo of participants of 26th SPSS Level – I training held at PASTIC National Centre, Islamabad, 10-12 July 2018.